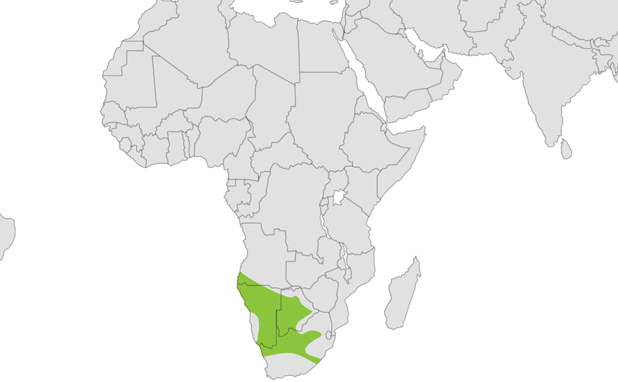 Meerkats are members of the mongoose family, Herpestidae. Their coats are brown or grey, with reddish spots on their backs. Their tails are tapered with dark tips and they also have distinctive dark patches around their eyes. The front claws are enlarged to allow them to dig the burrows and tunnels in which they live. 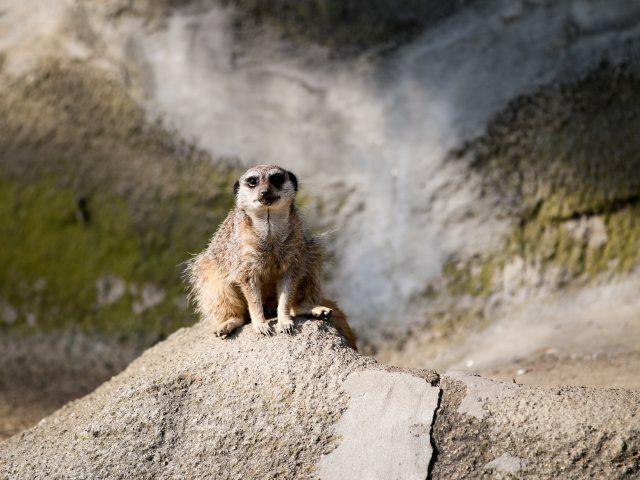 Meerkats are highly social, living in groups of up to 30 members. Generally the members of a group are all related. A few members of the group act as sentries while the others are foraging, and these sentries rotate throughout the day. While the group is foraging, the young are left at home with a babysitter. 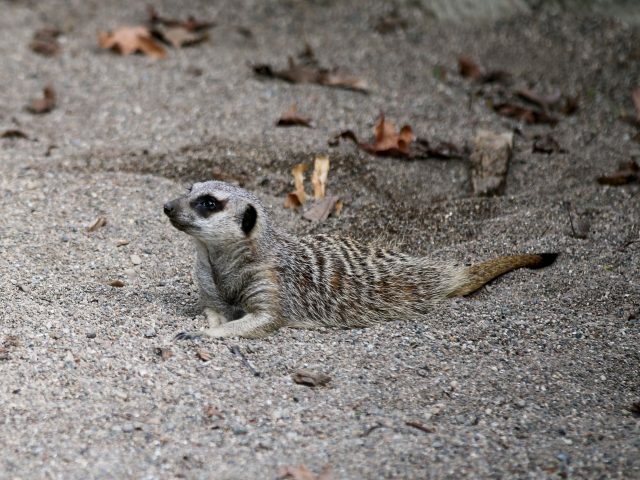 If a group of meerkats is surprised by a predator and does not have time to run to the safety of the burrow, the adults will cover the young with their own bodies. 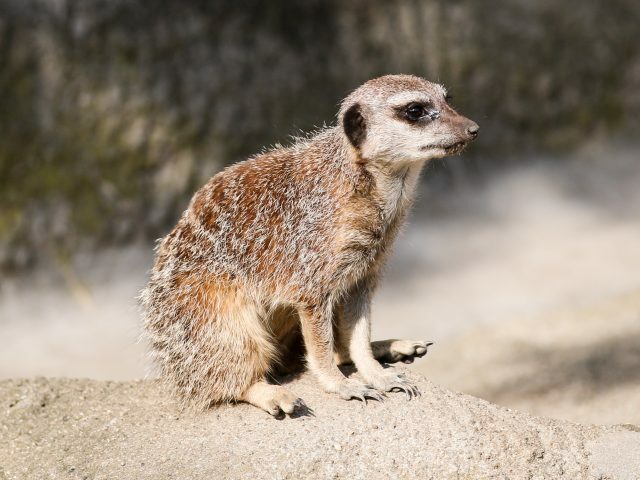 Some scientists think that meerkats have different calls for different predators. 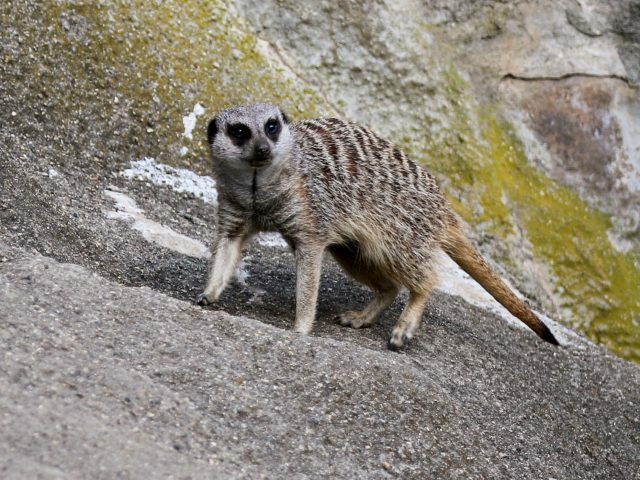 Meerkats are immune to the venom of certain snakes and scorpions, which means they can and do eat these animals. 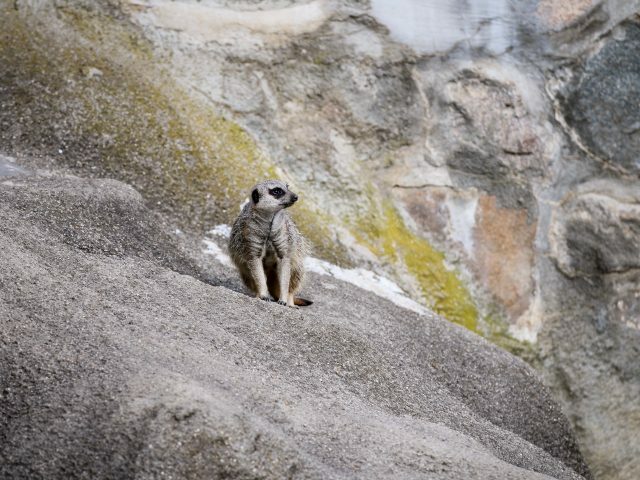 Our five Meerkat (four males and one female) arrived in the fall of 2017 from Disney’s Animal Kingdom. We use their facial markings and other unique characteristics to help us tell them apart. 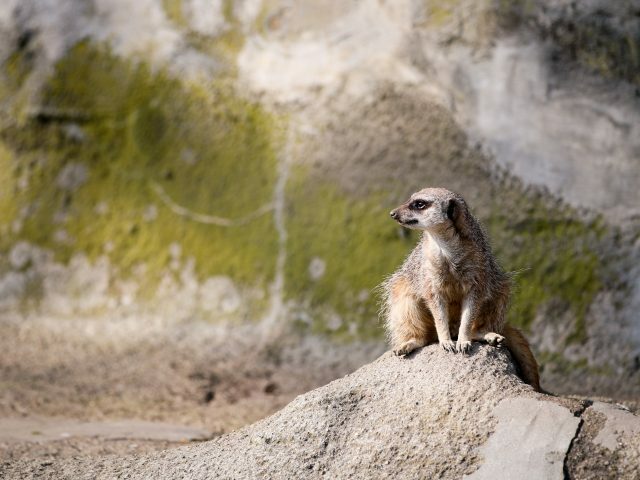 Meerkats weigh in up to 2 pounds, and range in length from 16 to 24 inches, including their long tails. 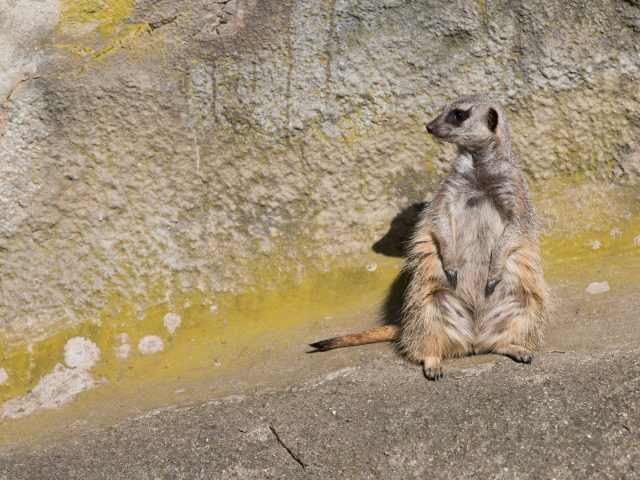 They eat mostly invertebrates like insects and scorpions, but they also eat small reptiles, mammals, and birds.